My name is Tim. I was reading the blogs on the web site. I have complete compassion in this matter as I am also a convicted felon. It's shameful just to say it aloud, but like the others I have accepted it and realized what I have done is wrong. My convictions unfortunately were aimed mainly at my parents when I was younger do to an emotionally unstable home life. I have corrected my problems and own emotional bouts. I am a successful father of two beautiful little girls and engaged to the most wonderful woman on this planet. We are buying a house soon on her income....I feel less of a person not being able to provide for my family. I was told last week by Kelly services after an interview that I had the job. It was the best news I heard since my lady said yes to that important question after we laid our baby girl down for the night. I went to work today, I loved it. I liked it so much I started to talking to the human resources person about retirement and shares in the biz. I received a phone call on the way home tonight which is what has sparked my efforts for finding an answer online. Kelly services was relaying a message that a background check had come back and they found a felony. The conviction that was in question was a misdemeanor. I'm not even sure that will save me from what's ahead but I plan on taking immediate action in the morning. My hopes lie within the kind heart of the hr woman from the place I was employed. The conviction in '07 was not a felony, if there is any possible way to get that taken care of on a very bare income please let me know. Thank you for your time and have wonderful day. Two things come to mind. First, if the conviction was on the application, It wouldn't be a question. 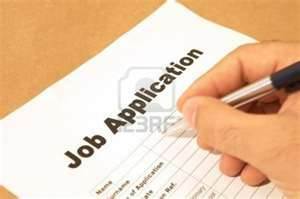 As I suggest to all ex-offenders and felons looking for jobs, be totally honest when completing employment applications. It would make no sense to leave convictions off when applying, get hired and than lose the job when background checks are done at a later time. If your only situation is that your misdemeanor is listed as a felony, one option is to have the prosecutor associated with your case to correct the situation. Often the prosecutor has the power to downgrade a felony to a misdemeanor. If there was an error, you should have no problem getting this done. If you have no success there, I suggest contacting your local legal aid office. There you may be able to get low-cost or even no-cost assistance correcting your situation. 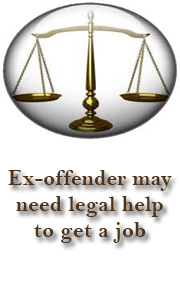 Often ex-offenders and felons looking for employment require some legal assistance and that is a good place to start.